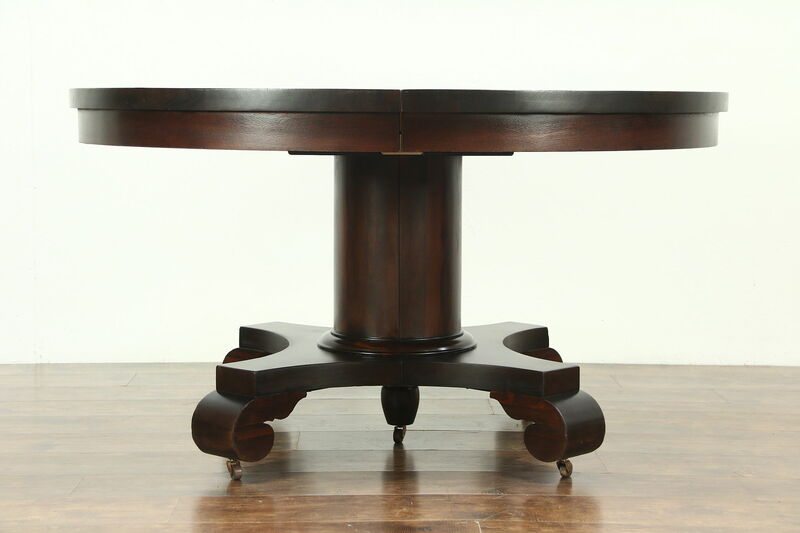 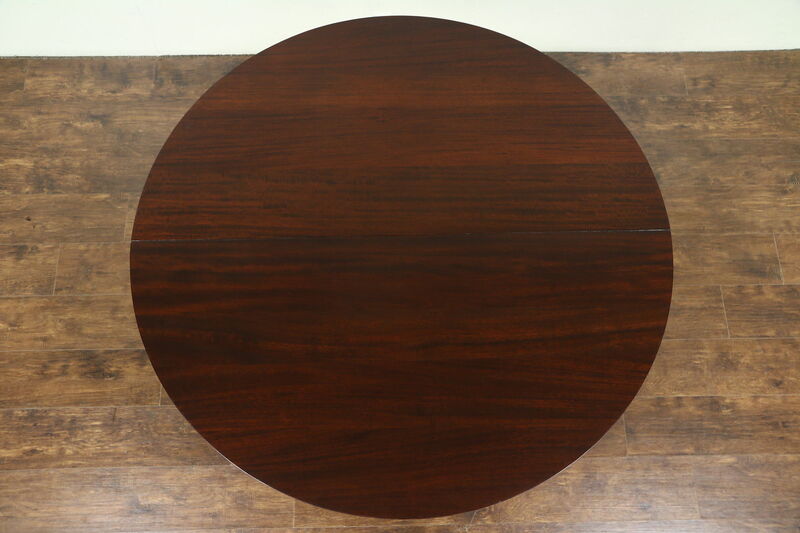 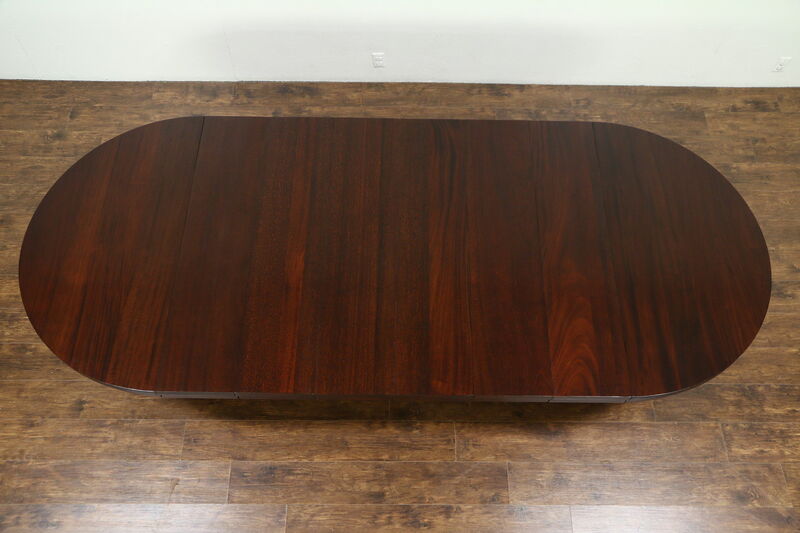 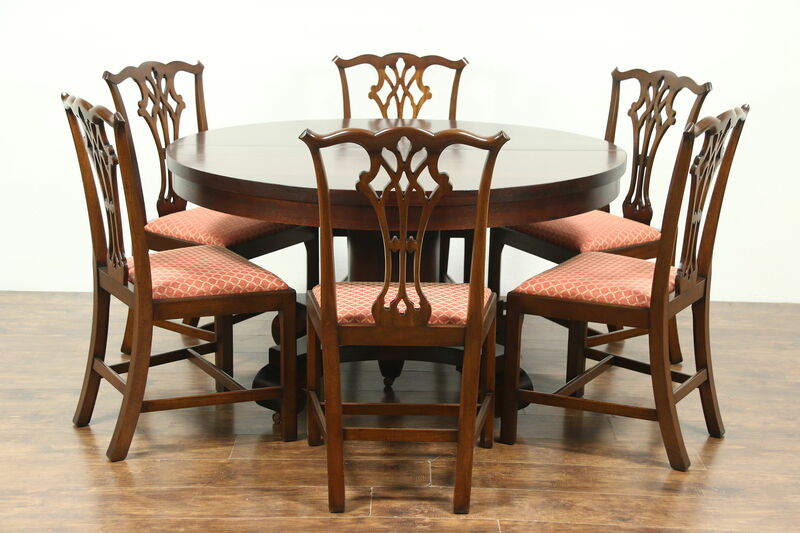 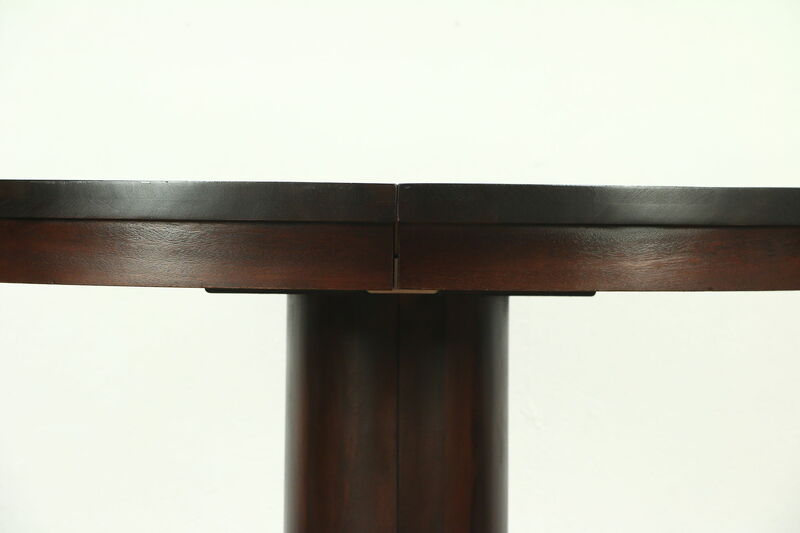 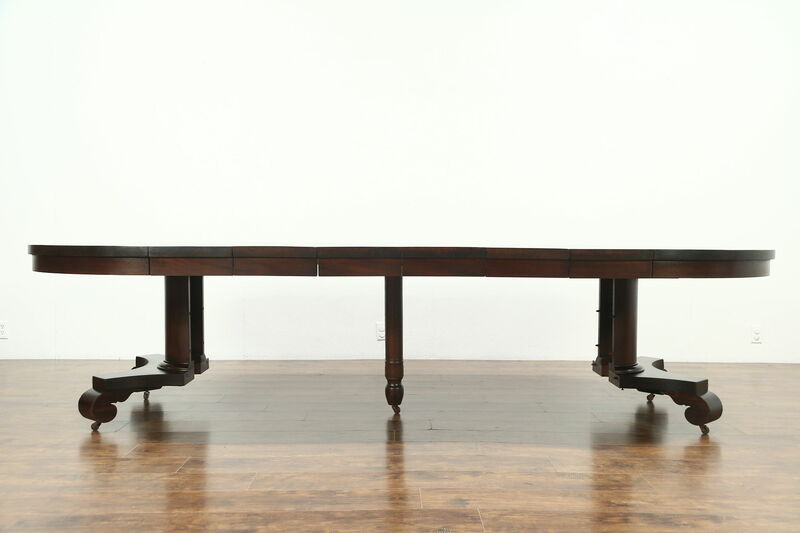 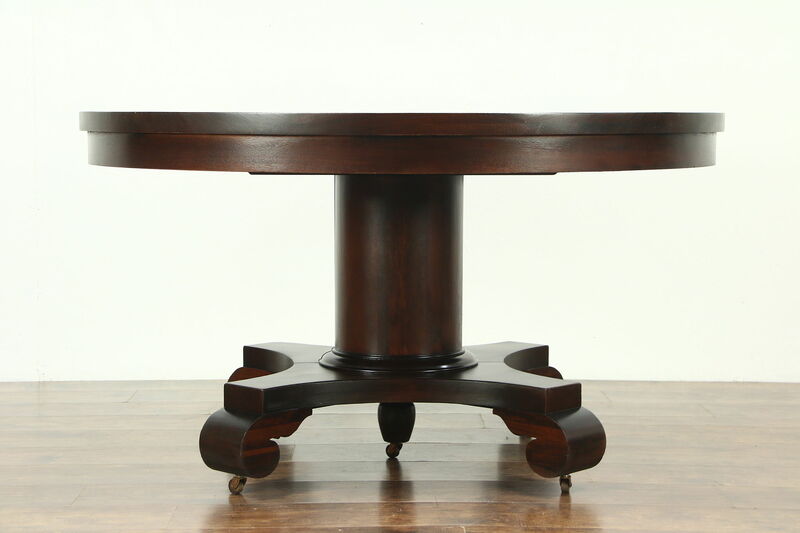 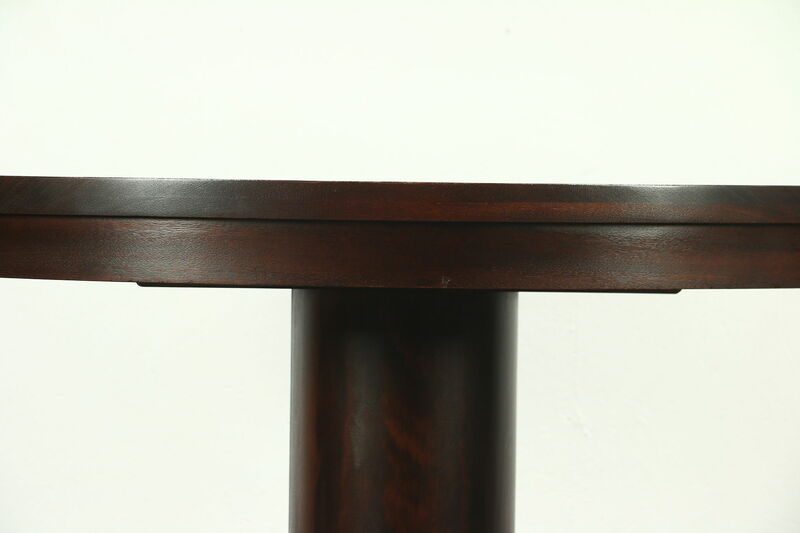 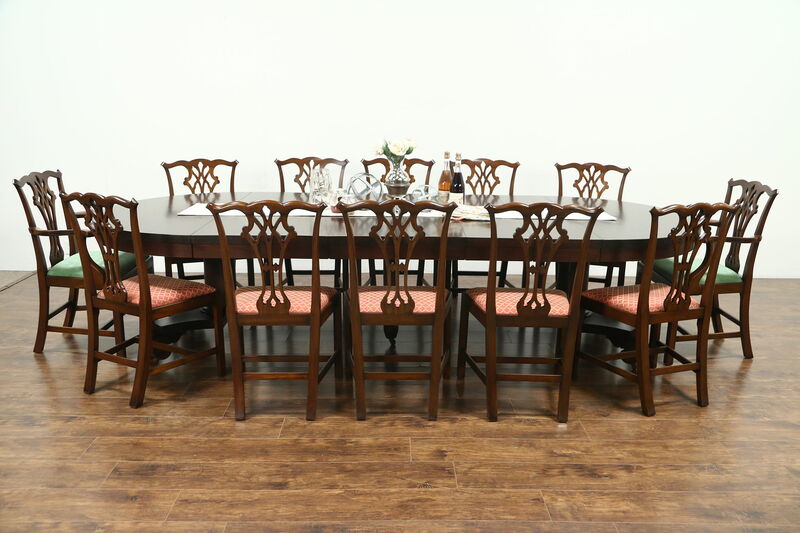 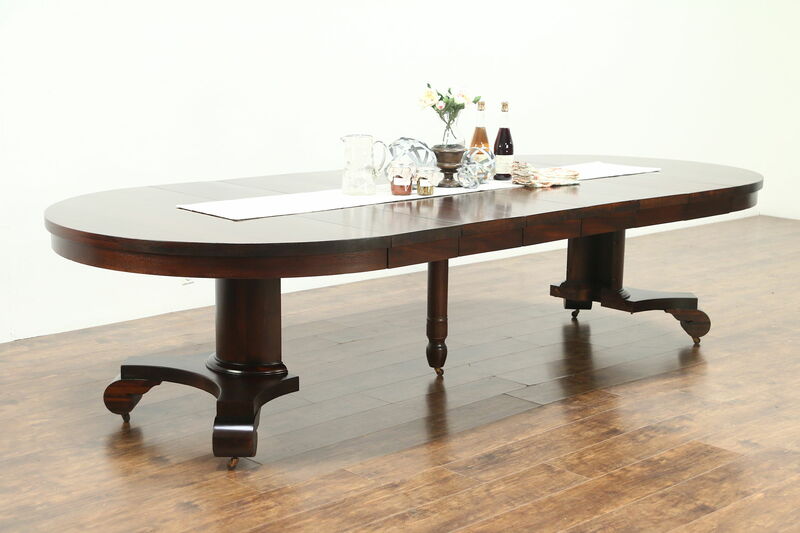 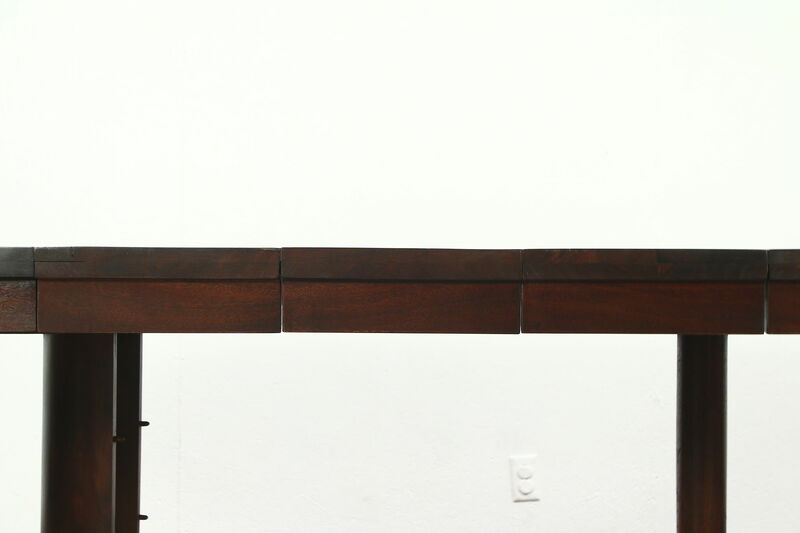 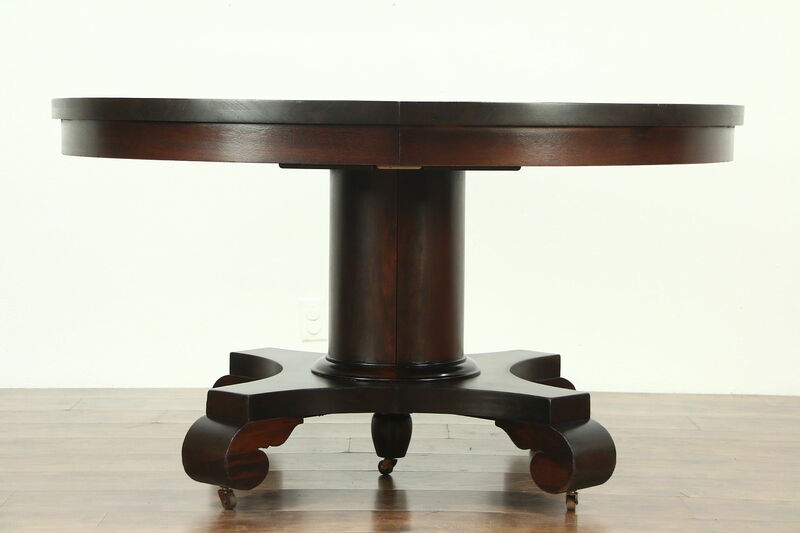 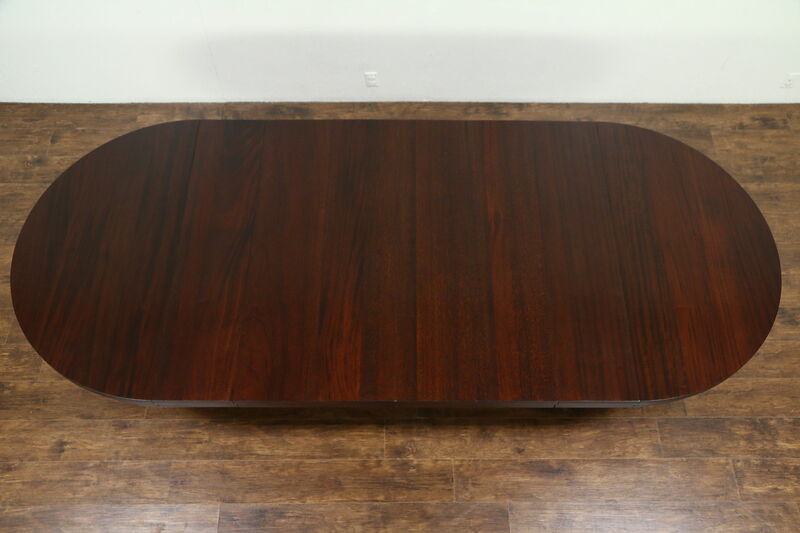 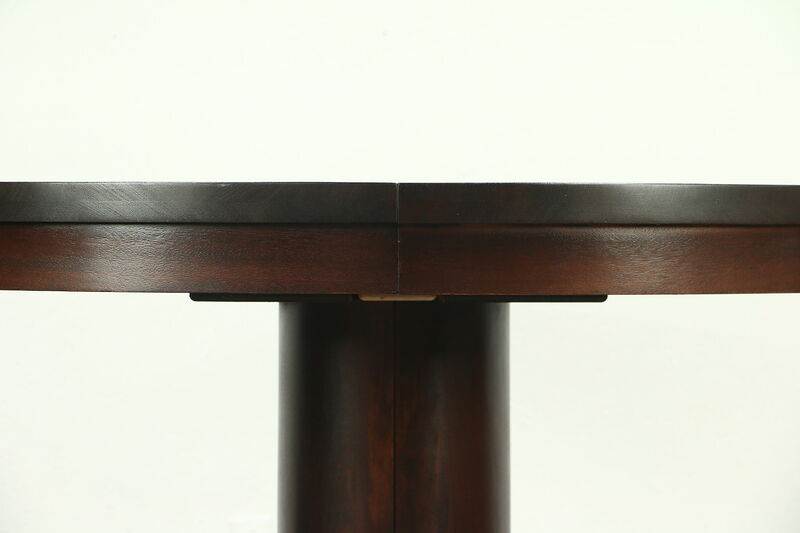 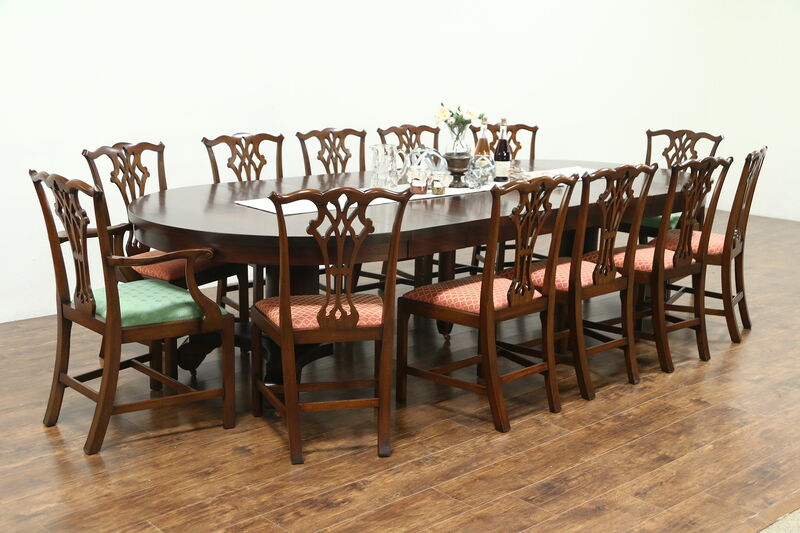 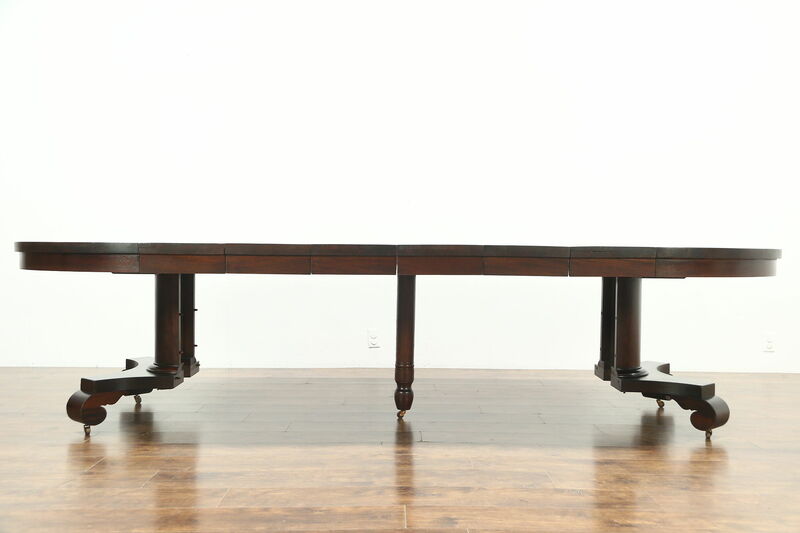 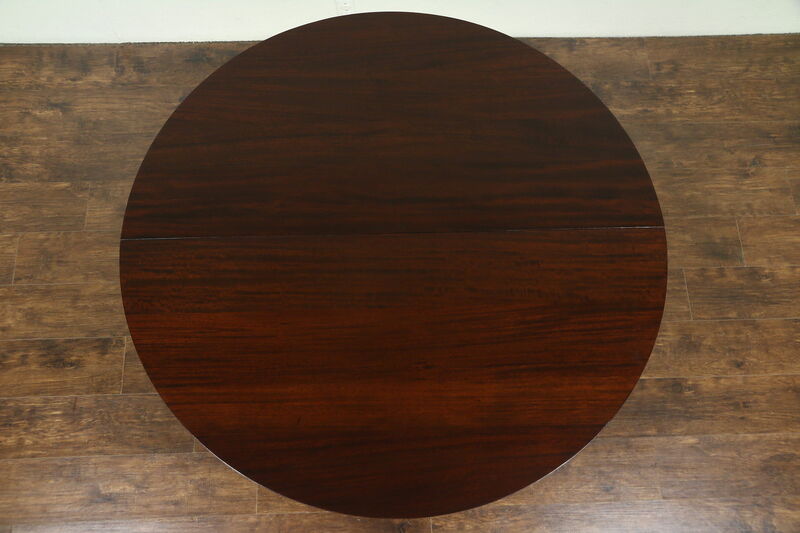 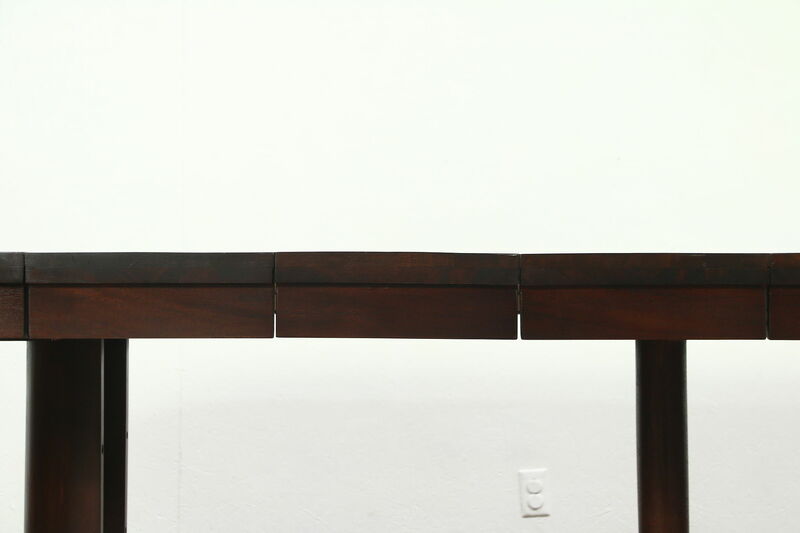 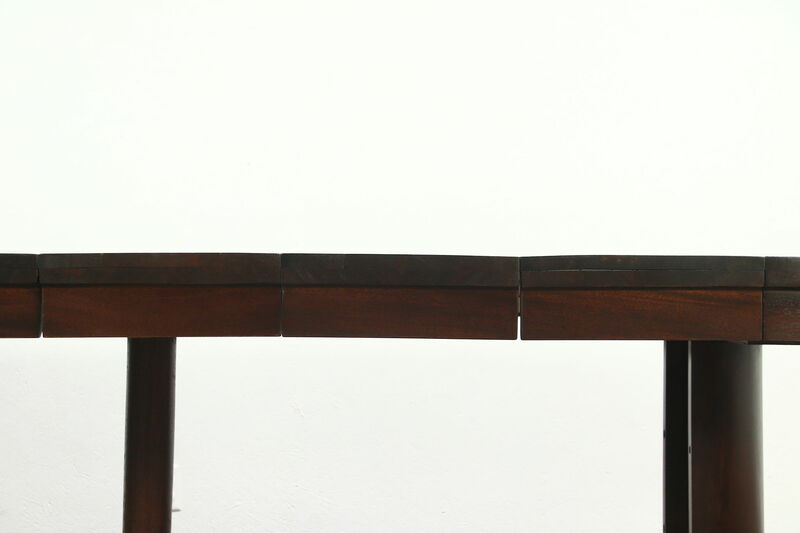 This round Empire design mahogany dining table from about 1910 has six leaves with matching skirts and clean lines. 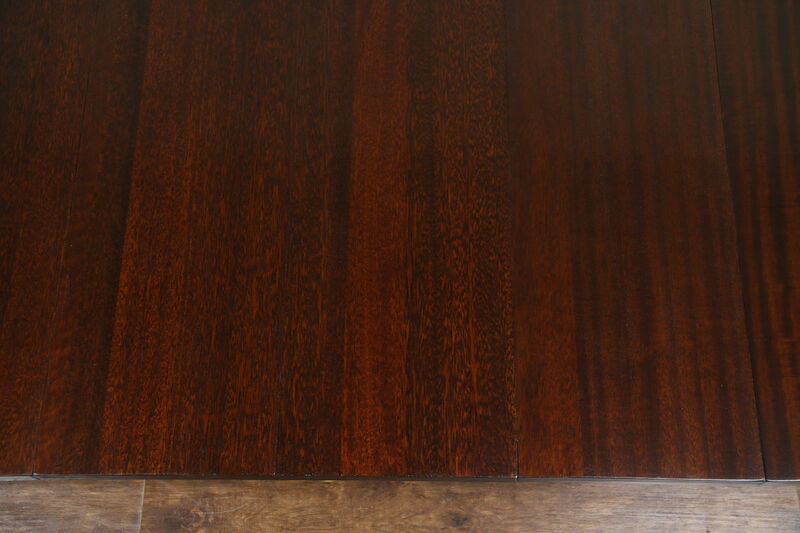 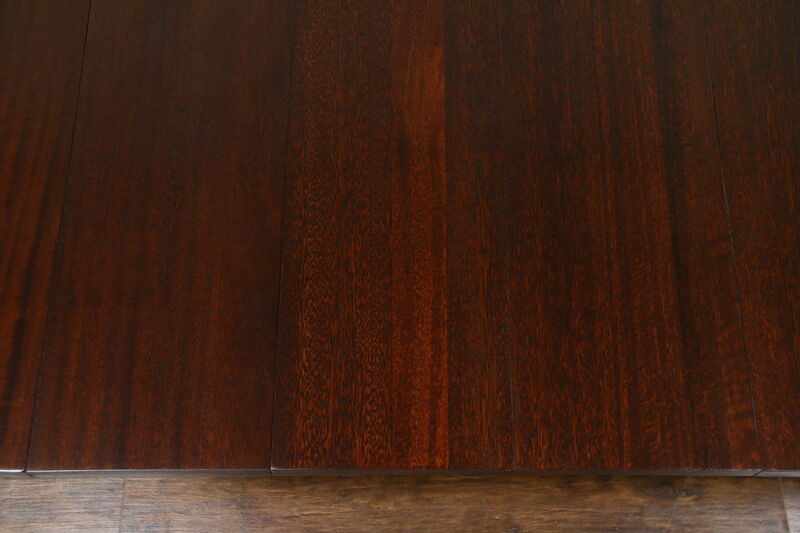 The restored deep satiny finish is in excellent condition. 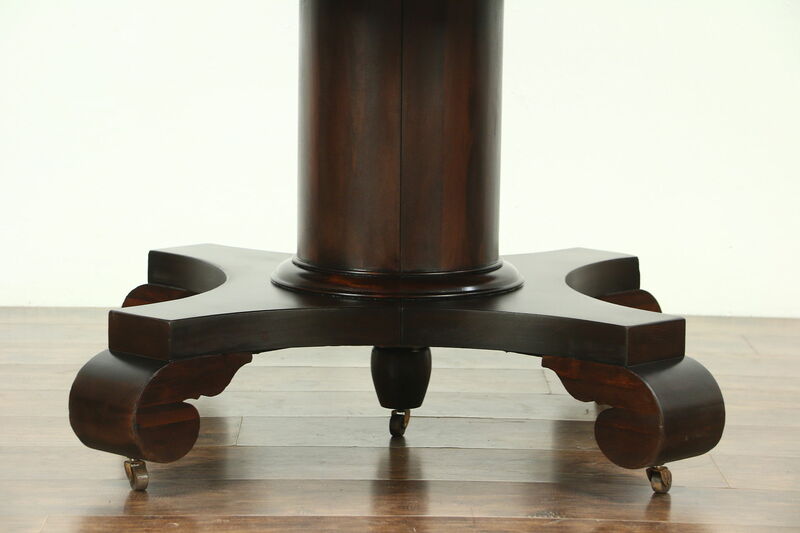 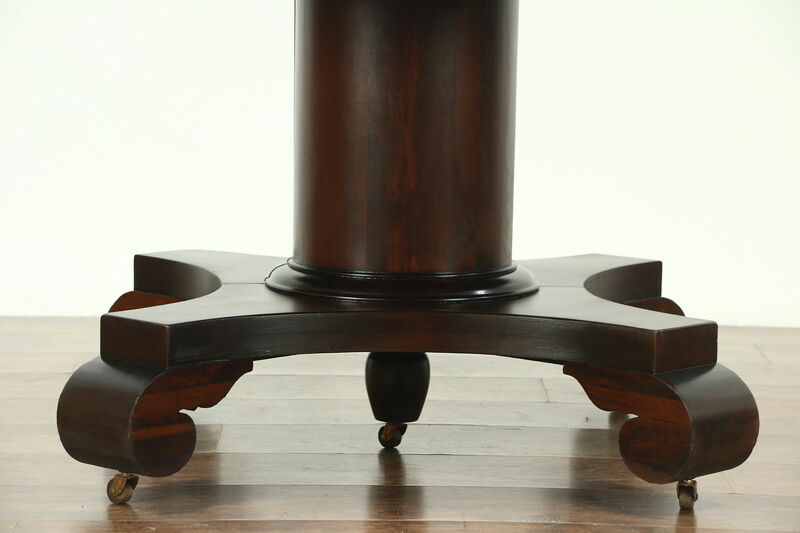 American made antique furniture, the grand scrolled pedestal "splits" to open, revealing a hidden center leg for extra support. 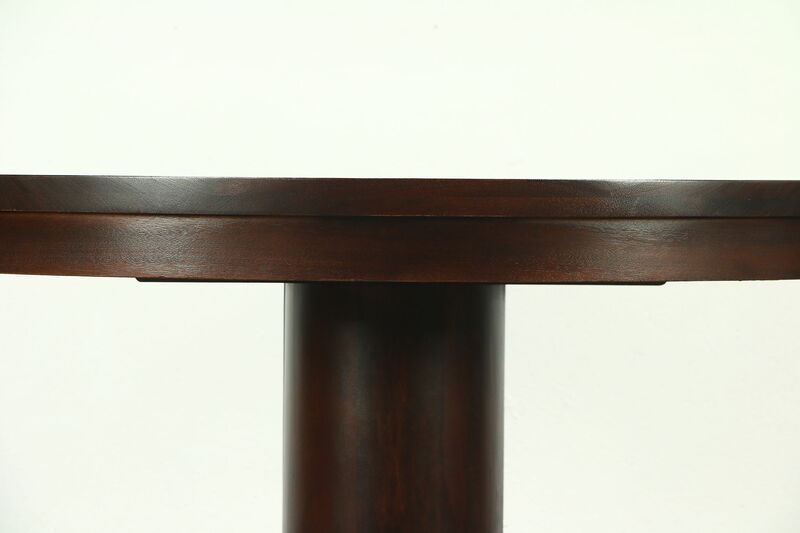 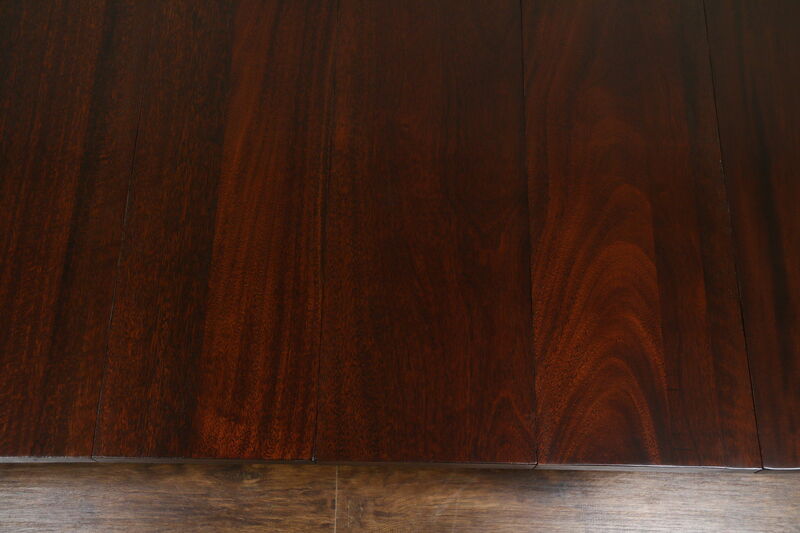 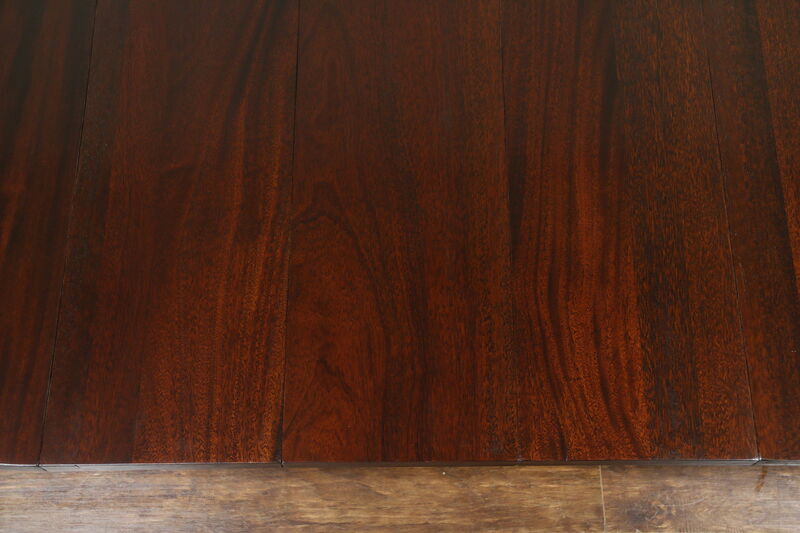 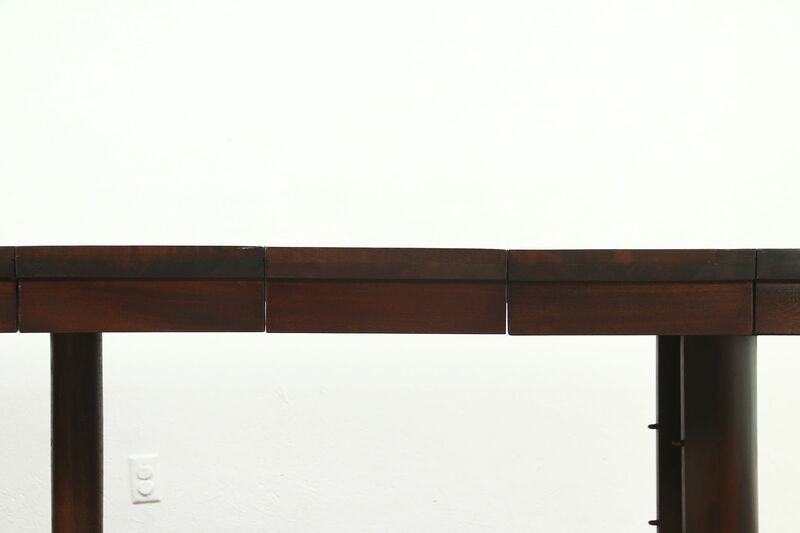 Solid mahogany leaves are 12" wide. 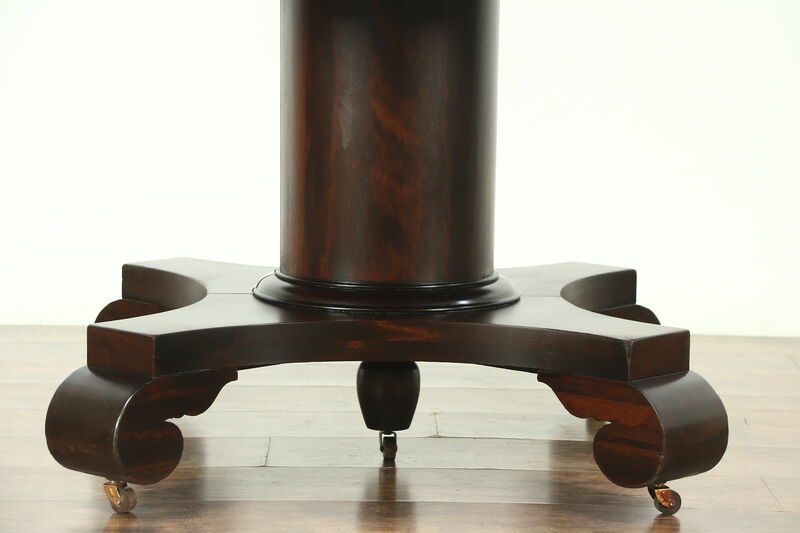 New hardwood slides open and close smoothly. 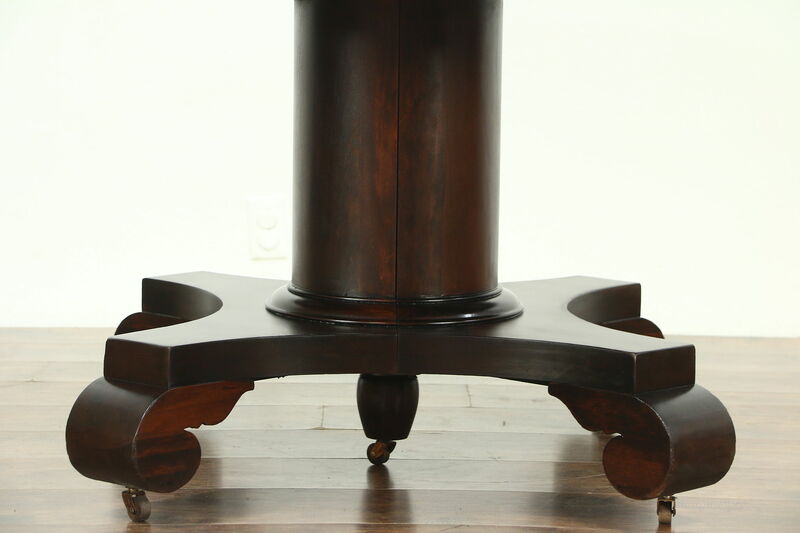 Measurements are 54" across, 30" tall, legroom is 26" and with all six leaves in place, length is just over 10' 6."